The sample pack is an amazing resource to provide a small glimpse of the fantastic effects of some of the most popular Isagenix products. 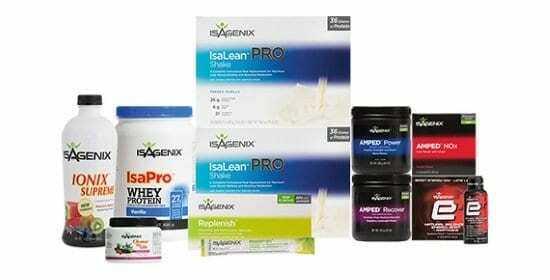 With 6 of the best, most popular Isagenix products, this sample pack provides a great example of the type of high-quality supplements and nutritional aids that we offer. 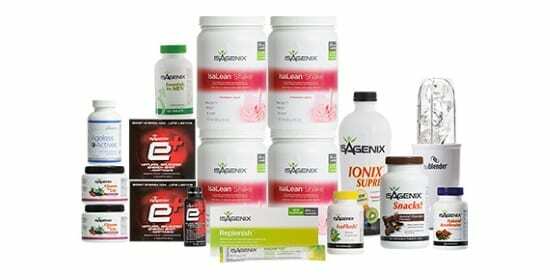 If you’re unsure about whether you’re ready to take the commitment of buying a full package – or simply want to give family, friends, and clients a sample of Isagenix products. Our approach to traditional pre-workout supplements, E+ is a low-stimulant, high-energy pre-workout that provides you with a healthy boost in focus, energy and power output. Our flagship meal replacement shake, IsaLean provides a huge boost of protein and essential nutrients to ensure that your fat loss is fast, effective and healthy. IsaLean is a great choice to replace unhealthy meals or provide total nutrition when on-the-go. Simply mix with water or milk to provide a filling, high-protein meal. We believe that hydration is one of the most basic areas of nutrition that contribute to the dietary success and athletic performance, whether you’re an elite athlete or simply looking to tone up and improve health. Mix into water and consume throughout the day – or during a workout – to keep your brain and body at peak performance. IsaDelight is healthy chocolate: with all the rich, delicious flavor you have come to expect of traditional chocolates but with amazing green-tea catechins and added antioxidants. This product is a great alternative to junk foods and makes dieting easy for chocoholics! One of our all-time favorite products, fiber snack provide a huge boost of protein and fiber in a delicious, crunchy snack bar. This is an amazing on-the-go snack to keep your body nourished and ensure that you’re sticking to your diet even when you don’t have time for a full meal. These fantastic products are delivered inside an Isagenix shaker to make shakes and other mixed drinks easier, cleaner and more practical. This means you have all the essential tools to trial these great products and put them to the best use. Each of these products has their own allergen information and it is important to be aware of these – whether you are ordering for yourself or buying the sample pack for friends, family or clients. 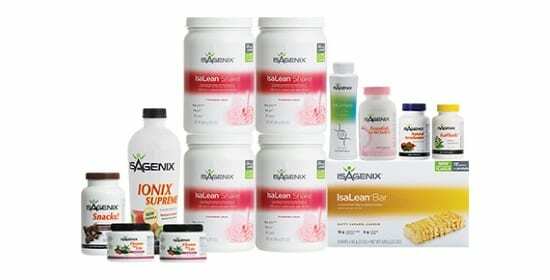 The complete Isagenix allergen list is available here so you can have, and provide, the necessary allergen information. 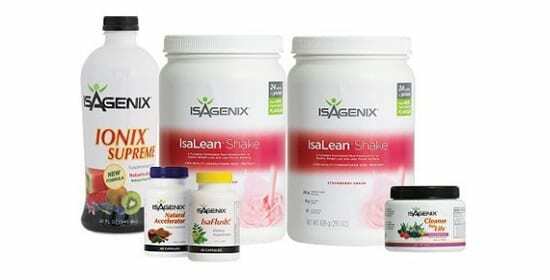 The sample pack shows off some of the amazing effects of Isagenix’ product line. 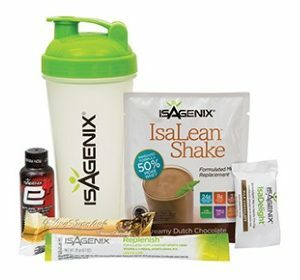 With meal replacement shakes to improve fat loss and muscle mass, E+ to provide energy and focus and a variety of snacks and health supplements, the sample pack provides the same amazing health benefits that you can expect from Isagenix premium packages, just in a smaller package! This sample pack is a well-rounded representation of our product line and is a fantastic introduction to the products themselves, as well as a fantastic marketing tool for individual distributors. Whatever your goals are – either for personal use or as a business model – the Isagenix sample pack provides you with an example of the nutritional products that we offer, and with results like these, it’s easy to see why so many want to spread the word! This sample pack is perfect for Vegetarians as it contains no meat products, for more information view Isagenix-allergen-table-NZ.